Sarah Burke is just about perfect. She's got killer blue eyes, gorgeous blond hair, and impeccable grades. There's just one tiny—all right, enormous—flaw: her nose. But even that's not so bad. Sarah's got the best best friend and big goals for print journalism fame. On the first day of senior year, Rock Conway walks into her journalism class and, well, rocks her world. Problem is, her best friend, Kristen, falls for him too. And when Rock and Kristen stand together, it's like Barbie and Ken come to life. So when Kristen begs Sarah to help her nab Rock, Sarah does the only thing a best friend can do—she agrees. For someone so smart, what was she thinking? This hip retelling of Cyrano de Bergerac is filled with hilariously misguided matchmaking, sweet romance, and a gentle reminder that we should all embrace our flaws. Sarah was a really strong and smart character, but I felt that she was overly defensive about the fact that she had a big nose. I don't feel that I am pretty every single day, but I wouldn't let that control my life like it was for Sarah. Kristen was an amazing friend to Sarah, but I hated how oblivious she was to other people's feelings at time. Rock was a very sweet guy, but he seemed so stupid at times. How could he not notice how Kristin was so different from the notes that Sarah wrote? I liked that he still cared about Sarah even though they weren't dating and that he was generally a good guy. The plot of the story flowed really well with one expectation. There was a subplot about Sarah's mom that is mentioned, but never fully developed or explained. I found that part to be very interesting and was sad to not know what happened. Chapman made an amazing debut. I devoured this book in one sitting and highly suggest that you read it, if you like a fairy tale retelling or enjoy a story on self image. 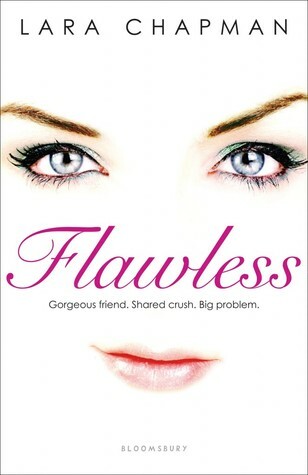 This was a quick read, it was fun, cute... a little predictable and light, but it had a great message. Sarah was a great character, she was strong & smart, and although she was self conscious of her nose at times, she never let it define her. I wished that the characters and their relationships would have had more depth... especially between Sarah and her mother, I felt like there was a lot more going on there. I loved the quotes before each chapter about beauty. It didn't really have much to do with the story itself, but it was a nice introduction to the upcoming chapter, and I always enjoy that little extra.